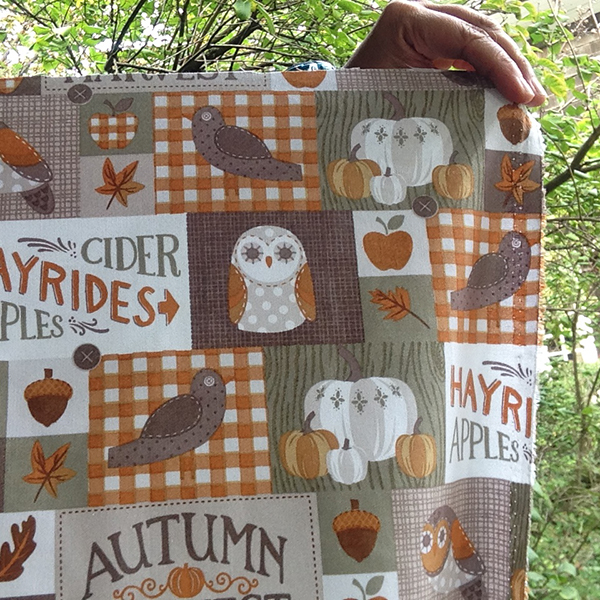 I bought this fall fabric a year ago with the intention of making an autumn tablecloth and it somehow got lost in my craft room. I found it during a cleaning session and immediately got my sewing machine out before it could disappear again. 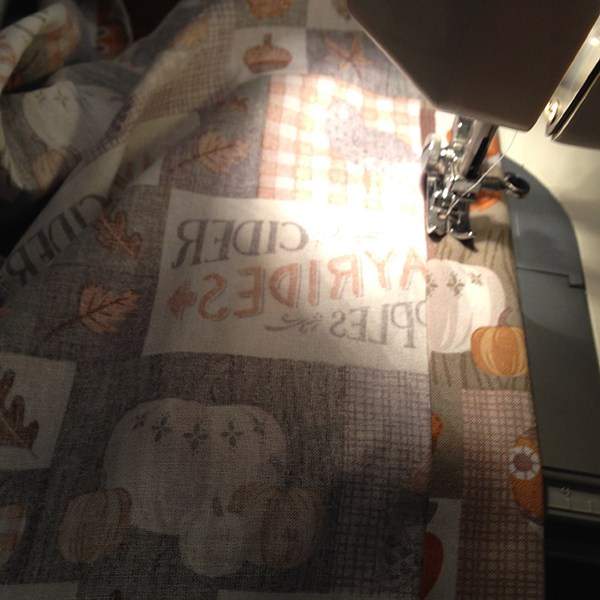 It's not a hard task to hem fabric on a tablecloth, but it is a lot of material so there is a lot of tugging and wrestling on my behalf when I do it. 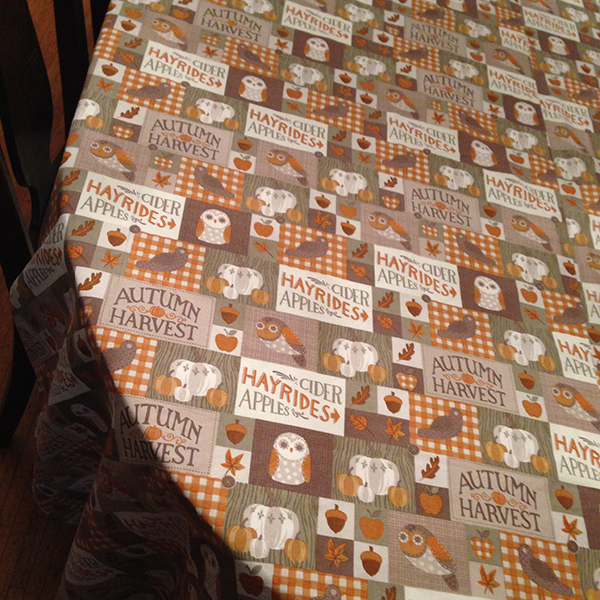 Now I have a tablecloth perfect for that transition between summer to Halloween. Someone asked me "Are owls fallish?" I don't know, but I'm campaigning for it!